The object is very simple. 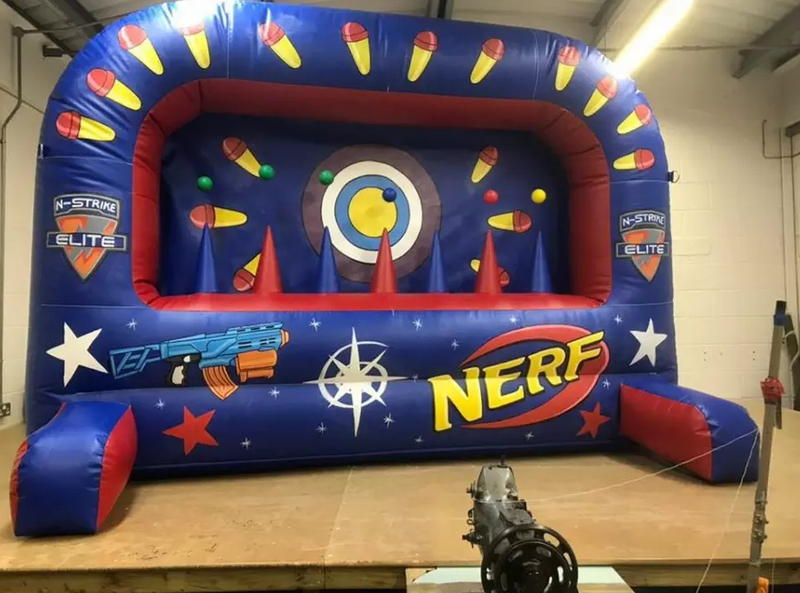 Use the Nerf guns to shoot the targets which float on the air stream above each cone. To re-set just place a ball above the cone and it will remain floating in place. This inflatable is an excellent add-on to other inflatables or on it's own for a fun filled competitive time.